Movers On The Go is a family owned local Boston Business, serving the Boston area and vicinity for the over 19 years. We offer professional and timely service, while working hard to protect your valuables so they arrive safely in your new home. 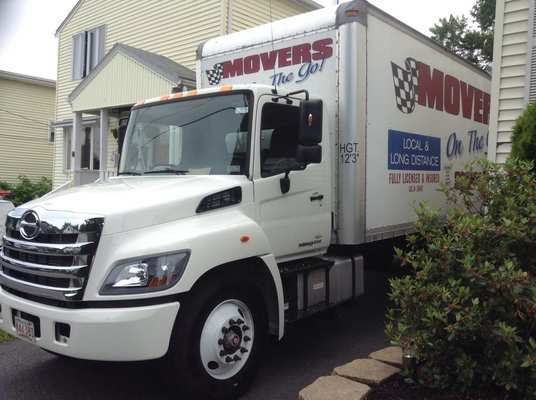 Movers On The Go was started by Domenic Fazio in the spring of 1997. Our focus is to bring personal service and expertise to our customers and ease the burden and disruption moving can make in their daily lives. Every move is owner supervised and the crew takes extreme care in insuring your furniture and other household items make it to their new home in the same condition they left their old home. With every move, we work to inform you about what to expect, how to prepare and what you can depend on while working with us. We own our own trucks and offer packing services to ease the challenges of your move. Movers On The Go are available to all of our customers to consult with before during and after your move. We take all details into account and will let you know about any areas of concern we may have. We don’t like surprises and we are pretty sure you don’t either. We respond to all inquiries with priority and will be back to you before you know it.